What is Your Ranch Doing to Improve Business Growth? Did you know that the adventure travel industry is growing over 60% year over year, and that two thirds of travelers are booking online? But only 10 percent of ranches are able to capture qualified leads online. They’re able to do it with online booking systems, and this functionality is helping guest ranches take the next step into the future. If you’ve been curious about how to create an online booking system, now is the time to start. With so much growth in the industry, paper and spreadsheets just aren’t going to cut it anymore. From people wanting to experience the tough, rewarding work of a dude rancher first hand, to those who want to dive into the Western half of the United States with an extravagant glamping adventure, people are looking for ranches — and they’re willing to pay a good deal of money to get the experience they want. Guest ranch excursions are only growing in popularity, and you don’t want your ranch to be left out. What does this mean for how you manage your guest ranch? Don’t let these valuable customers slip through your fingers! With all the work that goes into managing the booking and reservations of a guest ranch, if your processes are outdated, you’re likely stifling productivity and the amount of leads you capture. Manual and paper methods only slow work down and allow for things to get lost. There are only so many phone calls that a lead will make before they move on to the next location, and you don’t want them to pass you by because you’re drowning in the paperwork of upcoming reservations. If you want your ranch to keep up with the major players, online automation is calling your name. The alternative is not only missing out on strong opportunities and revenue, but also losing credibility as other ranches continue to grow. While there’s something to be said about doing things by hand, bookings for your ranch are processes that can only become more efficient and profitable by going online. Many ranchers worry that automation will mean that they lose the personal touch of individual emails and phone calls to potential clients, but with the right software, it’s actually the opposite. What Advantages Do Online Booking Systems Have for Guest Ranches? 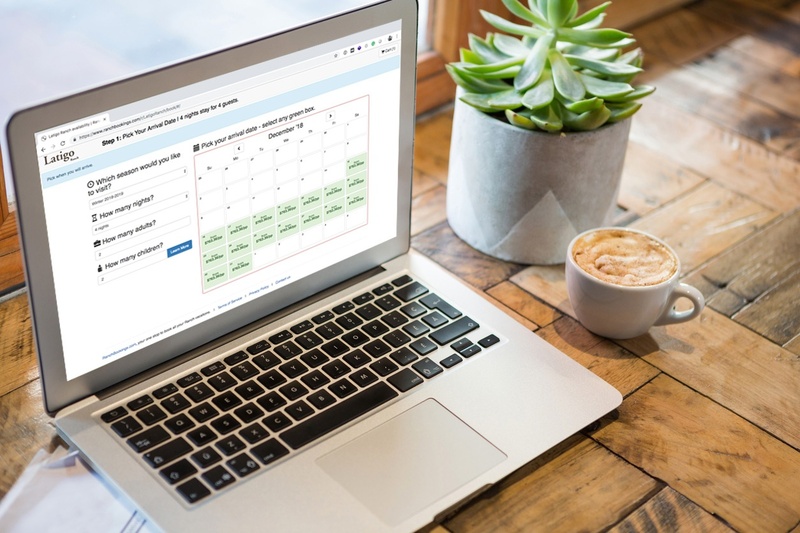 Online booking management tools, like RanchBookings, allow you to create a positive booking experience for your guests without losing the personality of your brand. You’re the one creating the messaging that they see and interact with, you just don’t have to continually manually send and store data. With online booking systems, you can also take advantage of more than just streamlined reservation management. There’s also a number of advantages that can help set your ranch apart from the competition and convert more of the leads you’re receiving. If you’ve been struggling to have any real reach with your marketing efforts, online booking systems can allow you to create and distribute marketing emails to your leads so you can keep them informed and in touch with your brand. An online booking system essentially becomes an information hub for your ranch, keeping everything organized but also allowing you to distribute and share that information to engage with your leads. For example, with all your reservation information in one place, you can share what dates are available for booking as well as helpful information that guests and leads will want to know about what it’s like to stay at your ranch. You can also use these systems to store guest information so that everything is up to date and ready when they arrive for their stay. Externally, an online booking system also helps your sales just by having one in place. Having a system like this in place makes you more trustworthy and marketable to the growing number of travelers who want to be able to see your availability and rates instantly before they contact you and book. This can also go into your strategy as you look to the future. While more modern travelers are looking for solutions like these now, almost everyone will be expecting them in the coming years. By taking advantage of an online booking system now, you’re setting your ranch apart from your competition and establishing your place as a ranch that is able to keep up with newer generations. Plus, when it’s time to pass the torch to younger generations, they’ll be able to smoothly transition into managing your ranch and keep it running for years to come. The bottom line is that without an online booking system your ranch is falling behind. The ranching industry is gaining traction, and if you don’t act now you can quickly be surpassed by your competition as they take on more modern solutions. RanchBookings is helping ranches around the country get their foot in the door with an easy-to-use platform that streamlines the booking process and provides opportunities for your ranch to grow.